Connor has been a member of the Canberra Furnished team since its foundation. At the beginning he contributed by being an excellent baby so his mum could run the business while looking after him. Since that time Connor has become more involved by helping with cleaning properties, running errands and processing bookings because he loves earning money. Connor is a junior entrepreneur who ambitions of being the ‘business man of the year’ and has been saving for some time to buy a vending machine so he can begin his own business. Please buy a drink from his new vending machine if you are staying at our Zirconia complex, they are only $1 each. He is using the proceeds to save for a food vending machine. 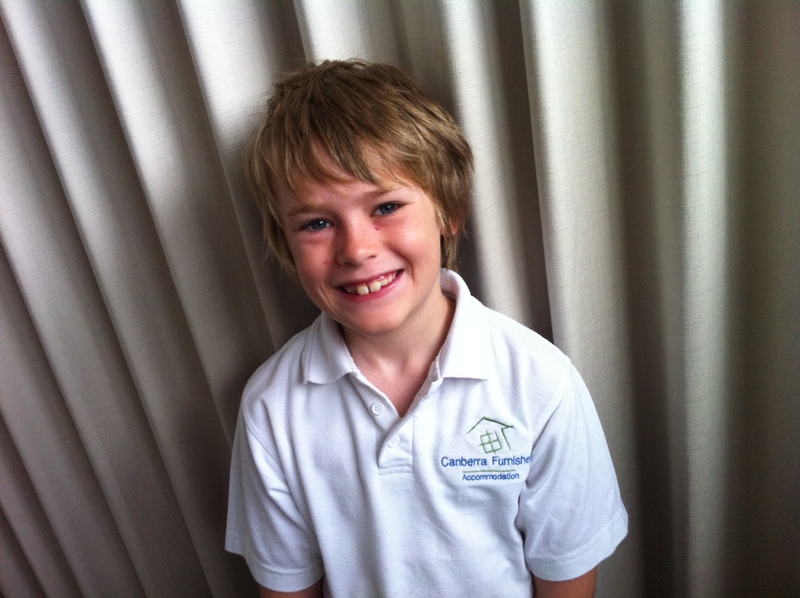 Connor’s personal goal is to take over Canberra Furnished Accommodation.